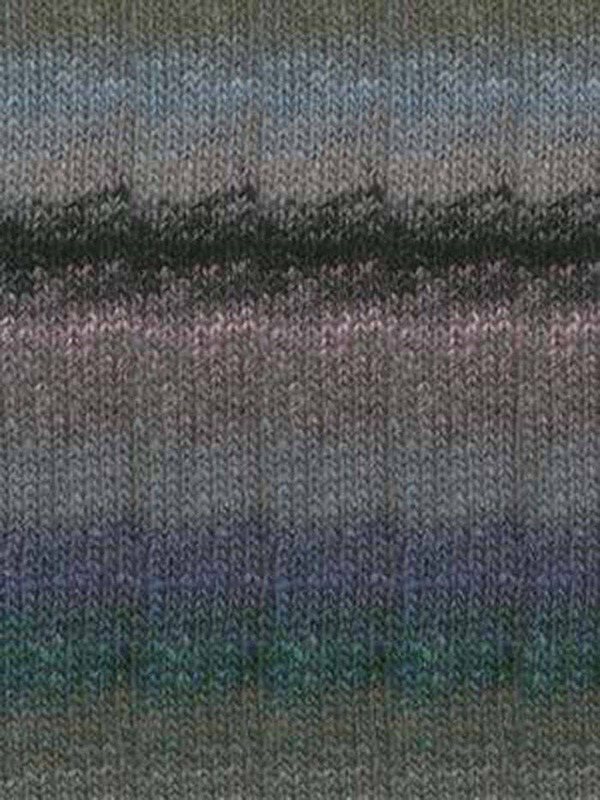 Moonstones (pink, purple, green, grey, brown) Multi color Noro Silk Garden Sock fine (DK or sport) weight yarn made of a luscious blend of wool, silk, and mohair. 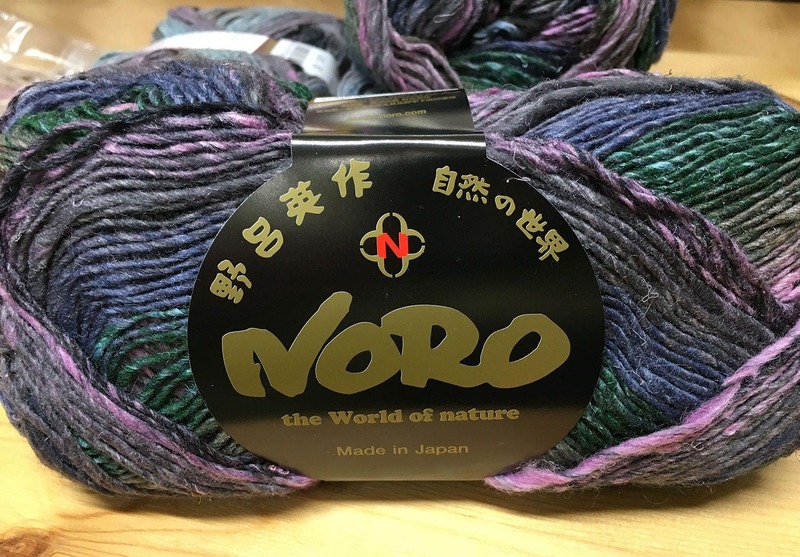 Enjoy Eisaku Noro’s yarn made from selected raw materials from around the world, spun with their unique process to create self-striping yarns that are colorful and stimulate your artistic nature. 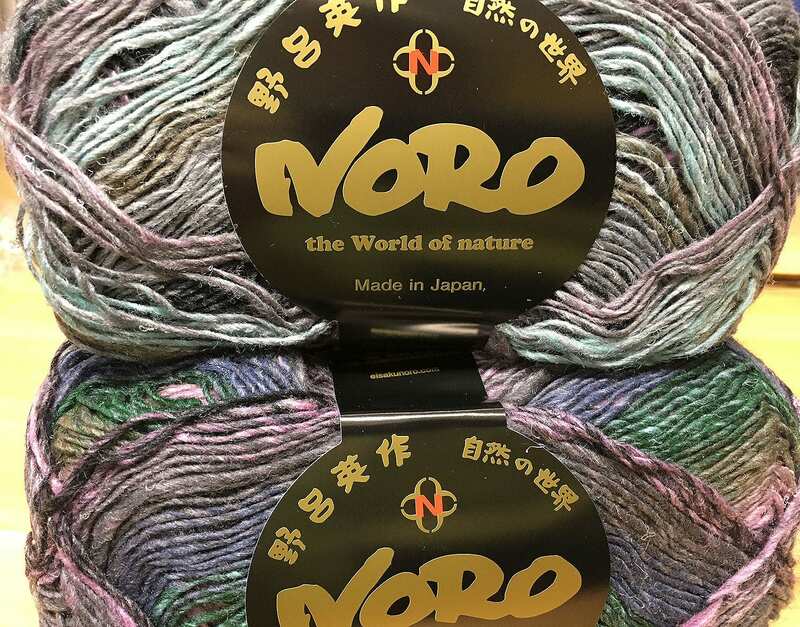 Every ball is hand-dyed in Noro's signature beautiful self striping color combinations. 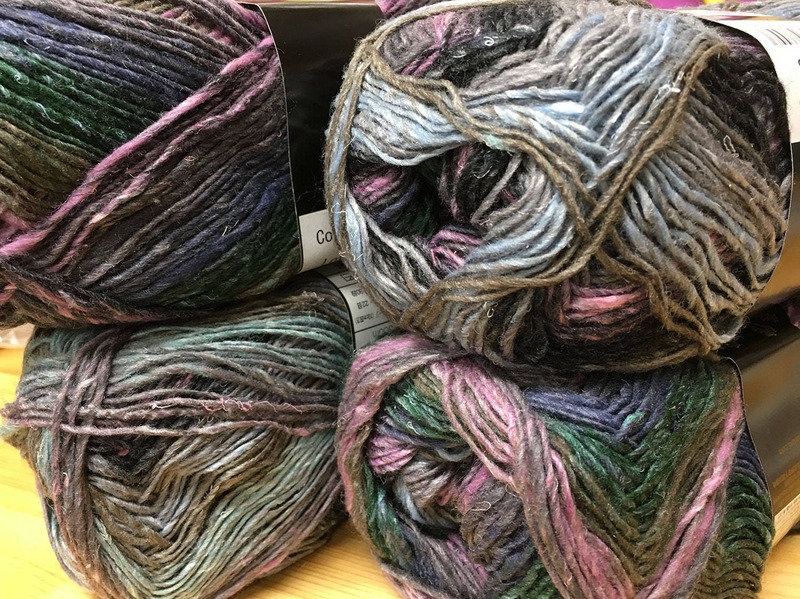 Your project will knit or crochet into a lovely draped one of a kind work of art with plenty of warmth, too. *So* gorgeous!!! 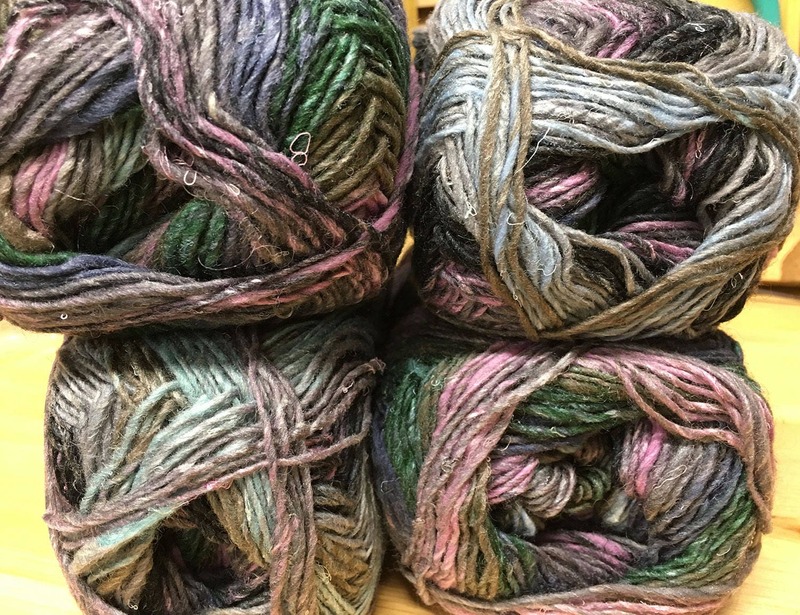 Lovely colors, I'm actually glad the weather's cooled off so I feel like knitting again. Can't decide what to make with this so I'll probably be buying more. Thank you for your usual fast shipment, it always amazes me how quickly your packages arrive!